As you may know, Facebook rolled out hashtags on its platform earlier this week. 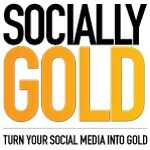 Hashtags, initially used by Twitter, make it easier for users to search certain topics. You can click on a hashtag and see what others have said who have also used that same hashtag. 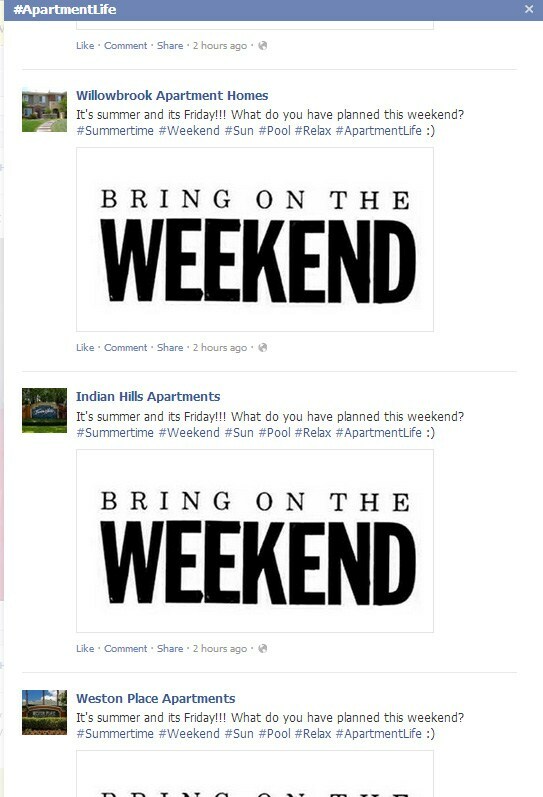 For my full time job, I manage multiple apartment community Facebook Pages. Below is an example of another apartment management company who used the new hashtag feature, in my opinion, incorrectly. In addition to a few other hashtags, they used #ApartmentLife, which I figured not many are using. When clicked on, it shows that they mass posted it to all of their pages. While you wouldn’t normally know that someone is mass posting to a bunch of pages, unless you follow all of them, this use of the #ApartmentLife hashtag makes it easy to see. This is just my opinion of course, but I think this shows that the Facebook Page is not as personal. I have nothing against mass-posting, don’t get me wrong. I just don’t want to make it readily known that I am doing it. What do you think? Let us know in the comments.